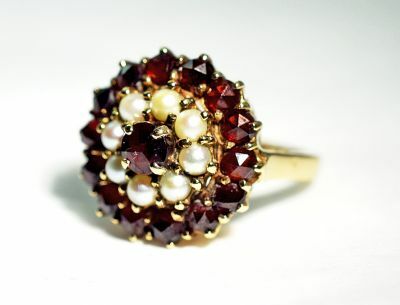 A beautiful vintage 10kt yellow gold ring featuring 1 round rose cut top faceted cut deep wine red garnet, est. 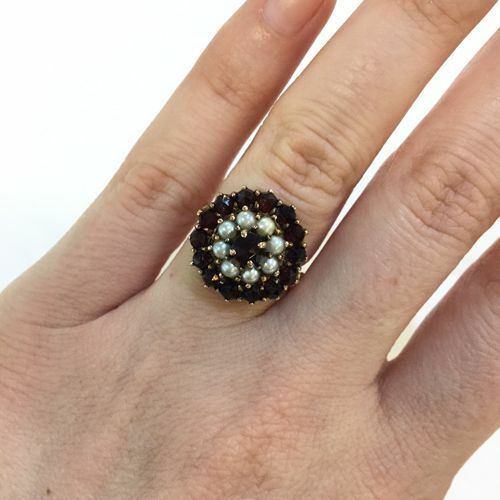 0.29ct that is surrounded by 8 silvery greyish white cultured pearls, approx 2.7mm and has an outer ring of 14 rose cut deep wine red garnets, est. 1.00ct.